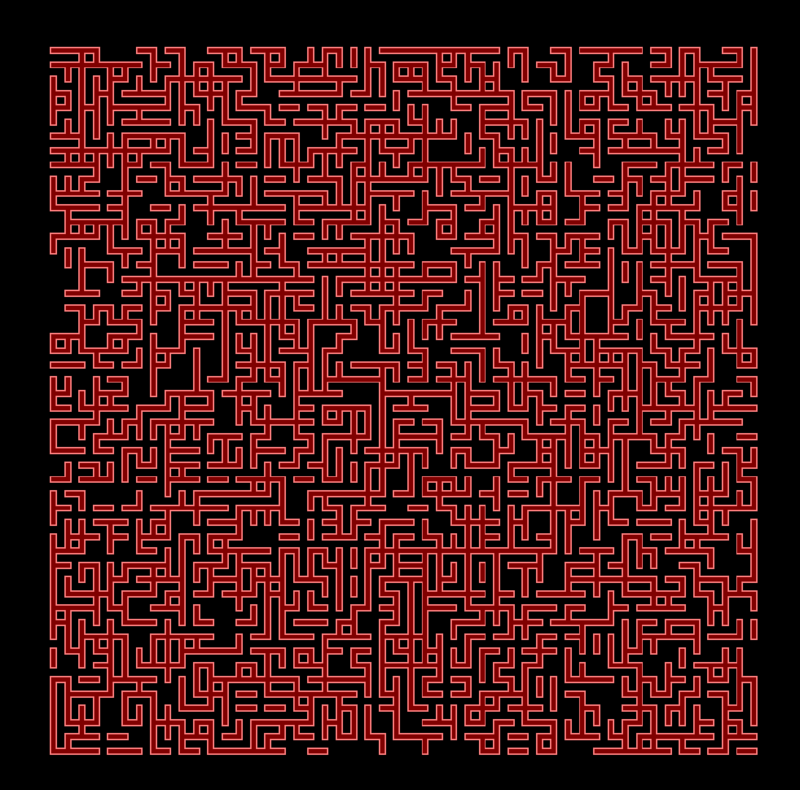 This is a navigatable version of a randomly-generated maze I made once. Navigate with arrow keys or mouse (annoying). Press Q or Escape to quit. Try it now! - press open/run if the browser prompts you (Windows 8 sometimes requires you to click 'More info' first). dMaze (.7z file, 94KB; Zip file, 112KB).